AVAILABILITY – Items cataloged herein will be reserved on paid orders for fall shipment. Peonies do best when planted in the autumn, for this reason we ship freshly dug roots in the fall. The plants will be reserved on orders when paid in full until the availability is exhausted. We reserve the right to restrict new releases, introductions, cultivars of limited supply, novelties and rare items in quantity. These cultivars are available to our retail customers on first come basis and are excluded from wholesale and export. CATALOG – Our assortment is posted online and printed catalog (mail order catalog). Not all items are listed in the printed catalog. Any cultivars listed online, including those listed in print can be ordered with the hard copy order form provided with the printed catalog. The printed catalog is mailed to US addresses only. It typically is mailed by the end of February. To receive the printed catalog please sign up online, send us an Email or letter. 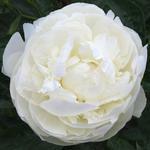 PLANT QUALITY – What can you expect to receive when you get peonies from us? The quick answer is quality large size roots. They are grown right here in the Midwest; we do not resell imported material. Our divisions are prepared to meet and exceed the industry number 1 grade - three to five "eyes" (the common name for matured shoot buds). We intend to send out enough root volume per "eye" to support first year growth all the way to a flower. Inasmuch as we make our divisions from matured plants, flower bud initials are already established. While this does not assure the flower develops at your site, it is made possible. Your new plants must also get new roots in sufficient contact with evenly moist soil to support favorable shoot growth. Caution, do not expect first year flowers to be typical in size or quantity of petals. But expect them to show color and form consistent with our printed descriptions for the cultivar. If you suspect an error, make a color photo and get back to us right away. GUARANTEE – We pledge the plants to be satisfactory upon arrival and true to name when flowered. Our roots are packed in moist sphagnum peat moss for protection during transport or short term storage at their destination. 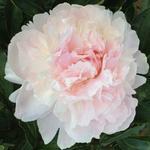 Please report to us promptly if your shipment was damaged or the peony is not true to cultivar. We DO NOT assure the plants will live and grow well for you, that outcome depends too much upon circumstances beyond our control. Any claim must be submitted in writing either by paper letter or Email. Peonies are very tough plants and when planted according to instruction in the fall, a near 100% success rate can be expected. However, if you lose a plant in the first year, do let us know. We will work with you to diagnose causes and possible replacement. PAYMENT – All prices listed in the catalog are in US dollars. Payments must be submitted in US dollars. Firm commitment of plants is on fully paid orders. Please pay with your order or upon the confirmation invoice, we do not send out billing statements. We do not reserve plants and any unpaid order is cancelled after 30 days. Bank transfer service charges (wire) are to be paid by purchaser. These charges depend on the bank and usually vary in price. Check and money order are the preferred mode of payment. Upon timely order there is plenty of time for your check to clear. PAYMENT WITH CREDIT CARDS – We accept credit cards for retail orders when placed online. For phone orders, orders received by Email and the postal service we accept PayPal Money Request, payment by check or money order only. In compliance with bank and insurance policy and regulation we cannot accept credit card information via Email, phone, or paper mail. All personal information at all times must be encrypted before transmission. This is to protect your personal information and us from undue liability. Customers that do not wish to pay with check or money order may use their credit card via PayPal Money Request. Those customers choosing to use the PayPal Money Request option are charged a 5% credit card processing and bank service fee. Credit card transactions via the online catalog appear on your statement as 'PAYPAL*HOLLINGSWOR' or 'PAYPAL*HOLLINGSWORTH'. 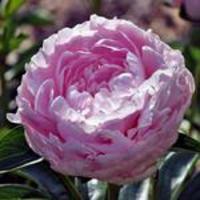 If you pay with PayPal our merchant name will be Hollingsworth Peonies. ORDER ADDITIONS AND CANCELLATIONS – Retail customers may make changes and additions to an existing order until we start digging and harvesting the plants. If you chose to order several times we will combine your orders into one shipment. You are charged the flat rate fee only one time no matter if you order one root or many and as long as the additional orders are sent to the same ship to address. There are no additional fees for these changes until August 15st. we MAY assess a restocking fee of 20% on Orders modified or cancelled after THURSDAY, August 15TH, 2019. ORDERS CANCELLED AFTER SEPTEMBER 15TH aRE AssessED a restocking fee of 50%. Due to the perishable nature of peony roots, ALL SALES ARE FINAL AFTER SHIPPING. Please read the cultivar descriptions, visit our online library or send us an Email before your order is mailed. DOMESTIC ORDERS – We continue our flat rate fee policy of charging $19.00 per shipment. Missouri customer pay $12.00 plus applicable sales tax (6.225%). It does not matter if you order one root or many. Please note, this is the only fee charged on a standard retail order and includes handling, packaging, bank processing, surcharges, etc. In short there are no unexpected surprises. Our domestic carrier is the United States Postal Service (USPS) and we ship all orders Priority Mail unless requested otherwise. USPS is committed in delivering your order to your location fast and safe. All orders have bar code and can be tracked. USPS can determine if your order was successfully delivered to your location, the ship to address you provided, with a GPS (Global Positioning System) record. Your order is insured up to $50 for damage and loss during shipping. This commitment ends with the successful delivery to your address. Items stolen or lost after successful delivery are no longer covered and are your responsibility. We are happy to provide you with special delivery options OR additional insurance via USPS upon your requesT. Special Delivery Options or additional insurance is an additional charge. CANADA – Orders are shipped USPS Priority Mail. Canada shipping charge is $85 plus $50 for each additional box. This fee includes a PHYTO. The number of roots per box varies depending cultivar. Usually 8 to 10 roots fit to one box. The rate includes shipping and the necessary phytosanitary certificate. In accordance with destination country requirements, all export orders for plants require United States Department of Agriculture, certificate of phytosanitary inspection (PHYTO). INTERNATIONAL ORDERS – All international orders, excluding Canada, must have a minimum order of $3000.00 USD plus a deposit of $1,000.00 USD to cover USDA inspection, bank fees, and basic shipping costs. If it costs more to ship to your destination then additional charges will be billed and payment will be required before shipping. If it costs less to ship to your location we will issue a refund or credit. 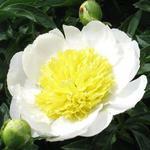 International customers, please submit your order via Email to nursery@hpeonies.com. Due to laws and export regulations we may not be able to take orders from certain countries and territories. any cultivars or items marked AS new releases, introductions, cultivars of limited supply, and novelties are excluded from export unless noted otherwise. WHOLESALE – This program is restricted to commercial customers located in the United States. To qualify you should provide us with your business credentials such as federal employer identification number EIN, valid state business license number, or tax-exempt number. Please send us an Email to nursery@hpeonies.com if you are interested in receiving our wholesale list or would like to submit an order.